In the famous words of Winterfell, “Winter is coming.” Even though we may not be looking at an army of White Walkers invading our world, it is still a dreadful season if you love living on two wheels (those of you in California just keep laughing). Thankfully, Alpinestars has a couple of new gloves to help keep your hands comfortable when that winter chill begins to hit. The Alpinestars Oslo Drystar Gloves are a mid-weight glove offering you a mix of textile, leather and synthetic rubber, along with full-coverage insulation. The insulation incorporates fleece in the palm, velour backing, and Fiberfill thermal insulation, so you get a nice, soft feeling on your hands. To keep that soft feeling from getting soggy it has the Drystar waterproof membrane. Combine all of this with PU-padded knuckles and landing zone, and you have a lightly protected cold-weather riding glove (I wouldn’t go punching any ice, though). These also come in a female version for the female rider looking to attain the same level of functionality, yet with a more feminine cut. Built to the same specs as the mens version, the Alpinestars Stella Oslo Drystar gloves will be slimmer in comparison and offer a different set of fitment options to include a wider range of motorcyclists. 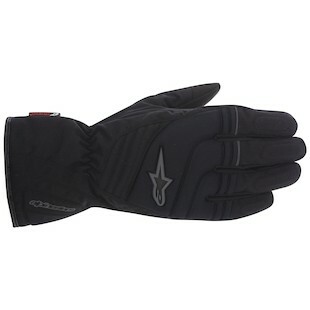 If your climate does not get extremely cold, or you only ride when there is a slight chill, then the Alpinestars Transition Drystar gloves are a great option. 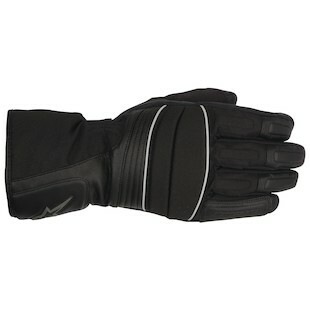 Considered a two-season, cold-weather glove, it utilizes a textile chassis and Clarino palm with thermal insulation in the back of the hand for warmth. The Clarino palm and McFit Drystar liner provide good tactile feedback without the floating feeling you get with a standard waterproof membrane. Not the option for sub-Arctic temperatures, but enough for a light chill. 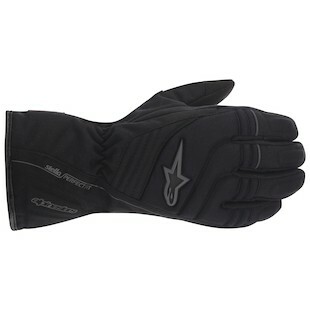 Much like the Oslo, the Alpinestars Stella Transition Drystar Gloves act as the women’s version of the Transition. With a little heavier construction, the ergonomic differences between a men’s and women’s glove can help dramatically in getting the best grip on the bike. With chilly temperatures on the horizon and the riding season seeming like it just started, now is the time to start getting ready to battle the cold. 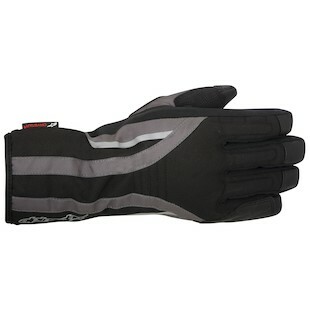 With the Oslo and Transition Drystar gloves, you can be ready for whatever riding conditions come your way. Just hope you will not need to battle any White Walkers on your morning commute.